I'm gifting a set of light weight real Gold Leaf Earrings to one lucky winner!! wa-lah your entered to win!! you will have 3 days to reply and then the earrings move to the next winner, thank you all who entered! Will be adding another giveaway next week! Happy Halloween! Be safe and have tons of fun. Thanks for the chance to win such a gorgeous pair of earrings! Love the earrings, and most things in your Etsy shop!! you are VERY talented!! I love these classy earrings. Beautiful earrings, and I love your shop - so many lovely things! I love these! I have been looking for something exactly like this but I couldn't find what I wanted anywhere! Love them! They are so beautiful!! thank you so much for this. I love these earrings! But more than that, I absolutely adore your stuff!!! So beautiful! Now that I've found you, I now have someplace else I need to save my pennies for!! Kudos! I love these! Perfect for fall!! very random here...but having the week from heck~! So much freaking soccer and it's driving me CRAZY....,grrrr! Thanks for the chance, these are lovely! Beautiful earrings! Found you through the Imprintalish link up. Great blog! these are so lovely. fingers crossed. i love these earrings. they are so pretty. thanks for this chance. Amazing earrings and giveaway!! Fingers crossed! Thanks so much for this awesome giveaway! I love the leaf earrings and pendants! my sis would love these! Beautiful earrings I hope I win! Great giveaway! These earrings are so classy! 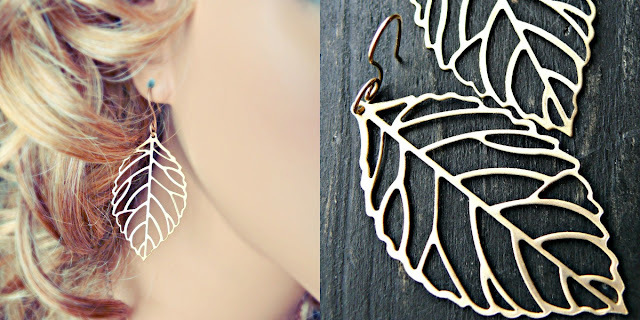 Love these earrings, I've always wanted to own a pair of leaf earrings or a leaf necklace! Thanks so much for this giveaway and for making such wonderful personalized items -I think your jewelry would make great holiday gifts! lovely earrings, thanks for the opportunity! Love these beautiful earrings ! 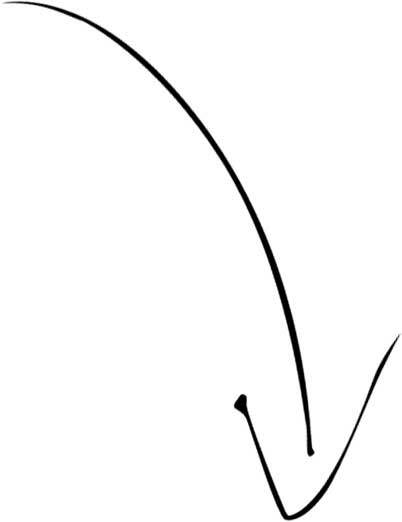 Have a look at mine ! A JuanitaTortilla handmade green set: earrings and clutch, worldwide giveaway open untill 11/07. I love the earrings! Thanks for the giveaway. I can only wear real metal, so I'm glad these are gold wires. It's hard to find silver and gold that are real and affordable. Thanks for the giveaway! Entered the giveaway and crossing my fingers! Lovely! I has silver plated ones of these before. Didn't know they came in gold! These are gorgeous! Would look great with a bright colored scarf, a white tee & jeans! Thanks for the great giveaway! I love gold jewelry and sometimes it's difficult to find pretty stuff like these earrings. Christina - xristya@rock.com - What beautiful earrings! Thank you for this giveaway! Just beautiful. Thank you for the opportunity. fashion earrings also of`vintage and ethnic types. latest designs gold ear rings india make new fashion statement. 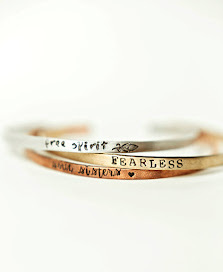 Trendy gold designs give ethereal look to a persona. Those gold earrings are gorgeous.